Wish your French students would speak more? For many French teachers, getting students to speak is the hardest part, but it doesn’t have to be! It’s important to have meaningful and effective ways for them to practice, but what works for students varies a lot between immersion and FSL students. Different age groups, ability levels, and different personality types will all need different ways to practice. 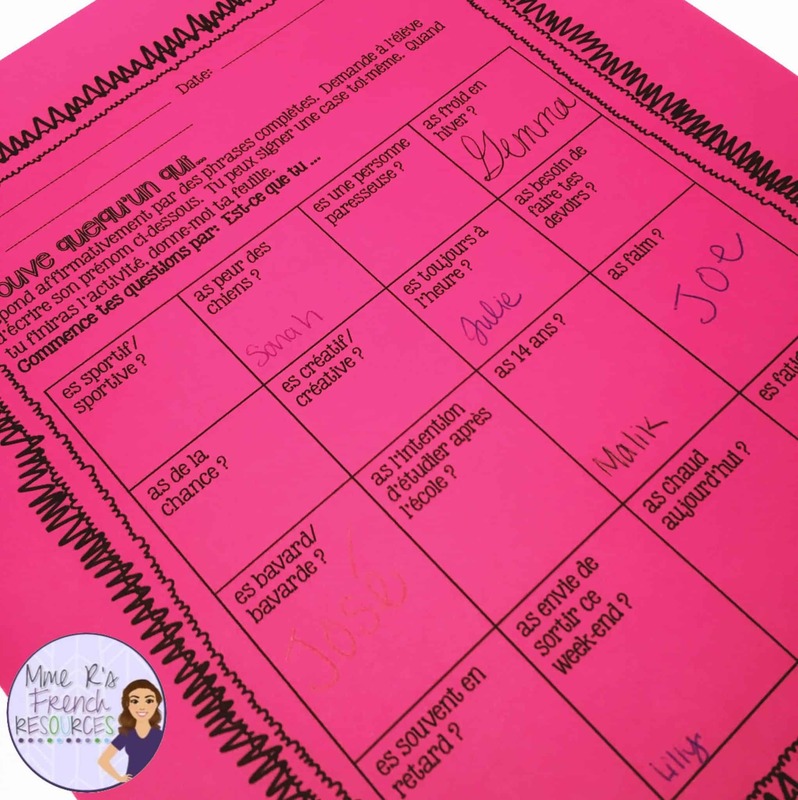 Read here about how I have used these activities in my classroom. Here are a peek at a few speaking resources you’ll find at my TpT store. 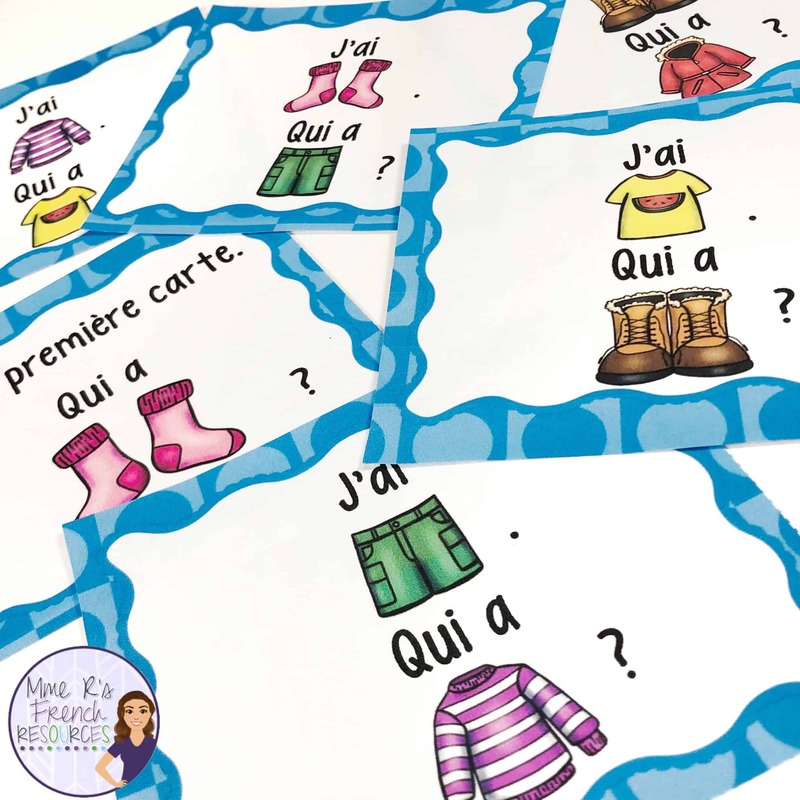 My store has almost 150 speaking activities for French immersion and FSL classes for practicing vocabulary, grammar, seasonal themes, and more. Click here to see them all. My popular series of speaking cards is a favorite among teachers. 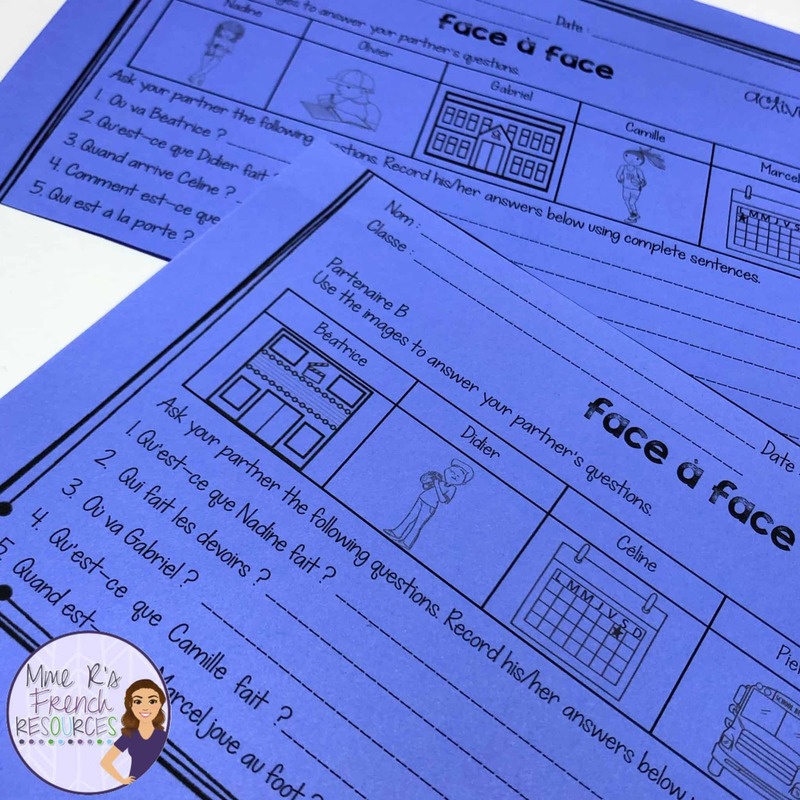 Each pack contains at least 5 fun ideas for using them in class! See all my speaking activities here!